Our Tenant screening process is always evolving to stay current with all the latest changes in the industry. 1) Nationwide Prior Eviction Search- We don’t just search local evictions in Palm Beach County but through our nationwide database we are able to see if an eviction has been executed on any prospective tenant. 2) Criminal Database Search- Its important to know who is renting your home so we search the records for any criminal activity. 3) Employment Verification- We verify that the prospective tenant can afford the rent by ensuring that at the time of the rental agreement they have a sufficient salary that will cover the rental payments. 4) Credit Check- We pull a credit check from Experian to determine any delinquencies that will hinder the successful procurement of a new tenant for your home. 5) References- We contact past landlords and current employers to determine if the tenants have any issues in the past that we should be aware of. 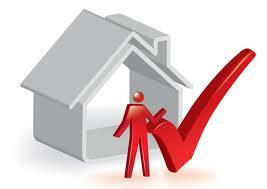 We try our best to secure the best tenant at the highest rental rate for your benefit and ours. If we select a good tenant then we do not have to worry about rental collection down the road and the owner can be assured that all payments will be made on a timely basis with no issues with the tenant. However, selecting a tenant is not an exact science and there are no guarantees that every tenant we select will be a good one, but after being in the business of renting homes in Palm Beach County for more than 10 years we can spot the red flags and steer clear of bad tenants.